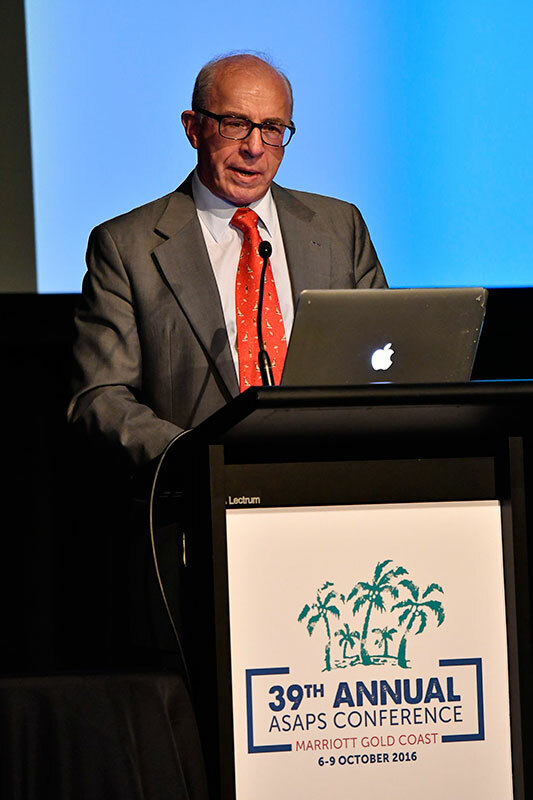 Held on the beautiful, sunny Gold Coast, the 39th ASAPS Conference 2016 was much more than just about the extremely informative presentations by world renowned surgeons and keynote speakers – although these were a hugely convincing drawcard in this Sold Out event. This year, there were also some impressive social events for attendees and their families that made it a year to remember. With Plastic Surgery industry heavyweights such as Dr Bryan Mendelson, Dr Naveen Somia and Dr Mark Magnusson from Australia, Dr Richard Bensimon, Dr Brian Kinney and Dr William Binder from the US and Dr Constantin Stan from Romania, as well as many other highly qualified and leading plastic surgery experts, the program was of unparalleled quality. It was almost information overload (at least for my poor laywoman’s ears! ), but this is an event that the industry shouldn’t miss to keep up with all the latest developments, changes, techniques and news. The topics cover almost every area of plastic surgery including facial surgery, all things breast from breast augmentation to implants to gynaecomastia, liposuction to labiaplasty, cell harvesting to non-surgical aesthetic treatments, and so much more. The other thing I love about the ASAPS conference is the practice manager sessions, for staff of practices and clinics. They have heaps of info on Practice Management, HR issues, Social Media and Marketing, Patient Management and Customer Satisfaction as well as various other topics. These sessions are interactive and designed for Practice Managers to get involved. As always, making sure the customer is well looked after. This year, whether it’s because the event was at the Gold Coast or not, there was a variety of social events on the ASAPS calendar that kept attendees, their husbands, wives, and kids busy! 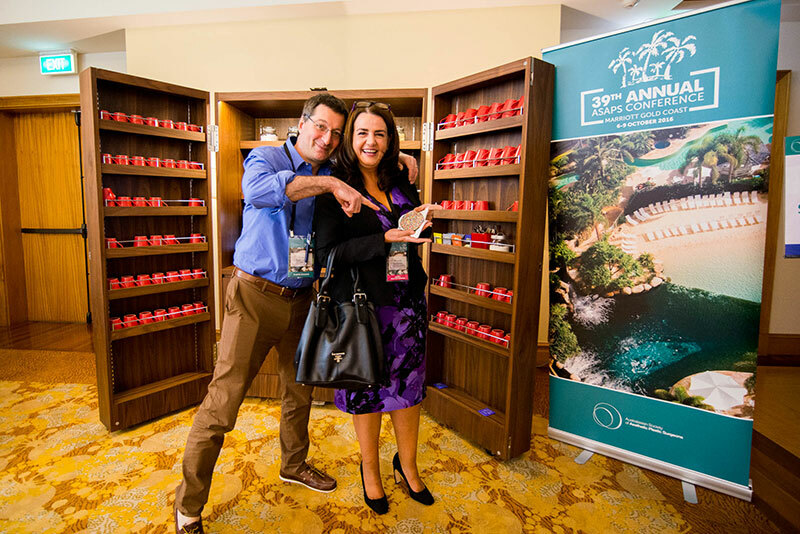 As well as breakfast, lunch and dinner events on each of the days; such as the welcome reception at Seaworld, and the Conference Gala Dinner which stands alone as a must attend annual networking event combined with the chance to let your hair down; there was family yoga, kid’s masterchef classes, family sushi masterclass and jetboating to name a few. The beach soiree to end the event was as always a highlight! Kick off those shoes!! One of the real bonuses of attending these ASAPS conferences is the chance to mingle and network with others that as passionate about the aesthetics and plastic surgery industry. I was also able to get some great interviews with some awesome surgeons, as well as some blog content that I’ll get out to you in the coming weeks. Oh, and thanks again to The Production House Events – the organisers of the 39th ASAPS conference – another huge success!! TPHE are absolutely amazing – each event they do just gets better and better.